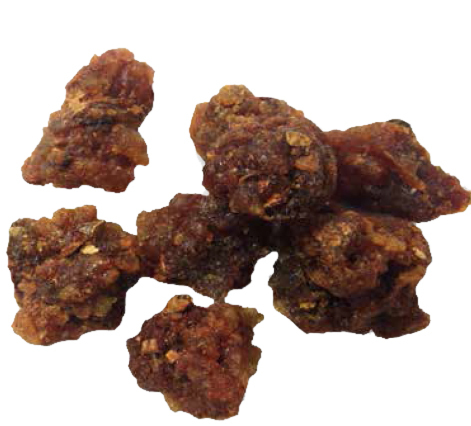 Myrrh (Commiphora molmol) is an aromatic natural gum secreted by the bark of a shrub of the Burseraceae family that grows spontaneously in Somalia. The sesquiterpenes present in myrrh have an extremely powerful systemic anesthetic and local analgesic effect besides the strong antiseptic and antibacterial activity against certain pathogens such as Escherichia coli, Staphylococcus aureus, Pseudomonas auriginosa e Candida albicans. After years of deveopment Alesco has completed an analytical method in which to find out the sesquiterpenes with a local anaesthetic action (AST) and has chosen the best methods of extraction to obtain a product high in AST.